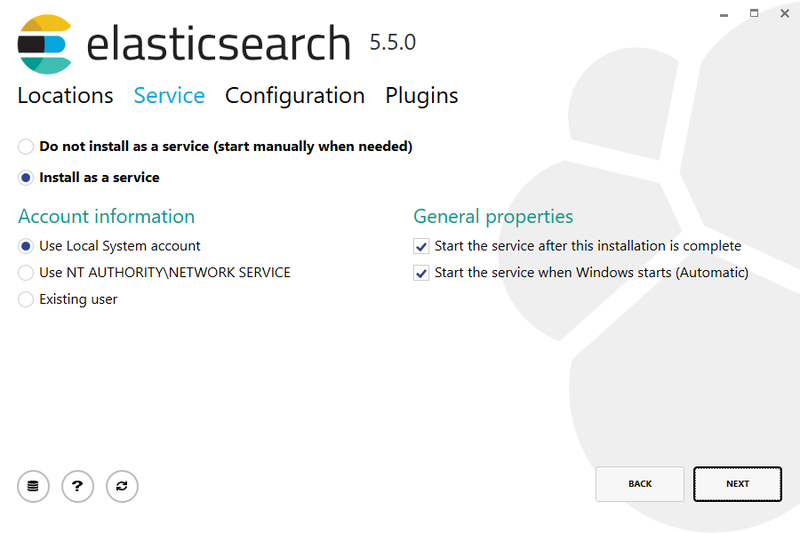 Elasticsearch can be installed on Windows using the .msi package. 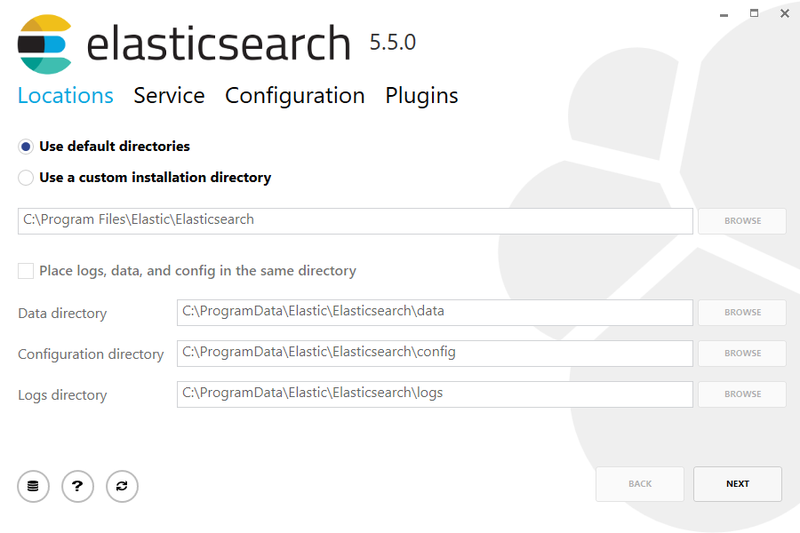 This can install Elasticsearch as a Windows service or allow it to be run manually using the included elasticsearch.exe executable. 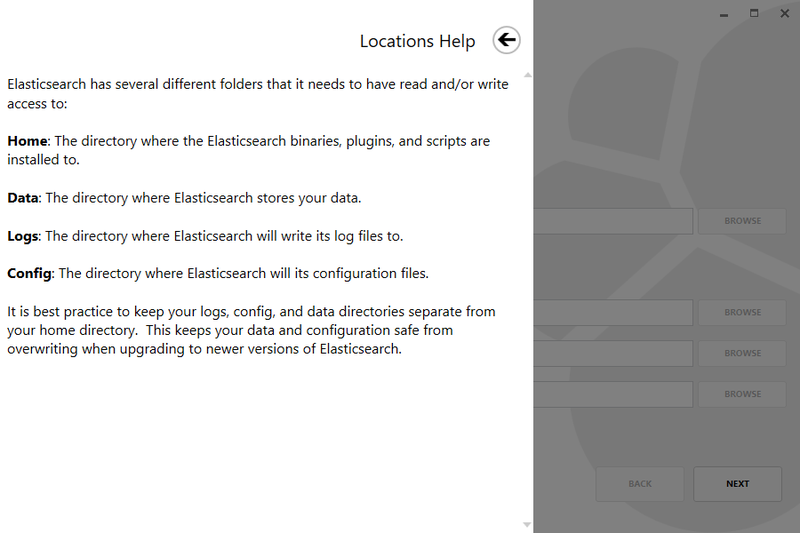 Elasticsearch has historically been installed on Windows using the .zip archive. You can continue using the .zip approach if you prefer. When selecting an account to run the service with, be sure that the chosen account has sufficient privileges to access the installation and other deployment directories chosen. or by consulting the Windows Installer SDK Command-Line Options. The username for the account under which the Windows service runs. Defaults to ""
The password for the account under which the Windows service runs. Defaults to ""
The amount of memory to allocate to the JVM heap for Elasticsearch. Defaults to 2048. If the target machine has less than 4GB in total, defaults to 50% of total memory. 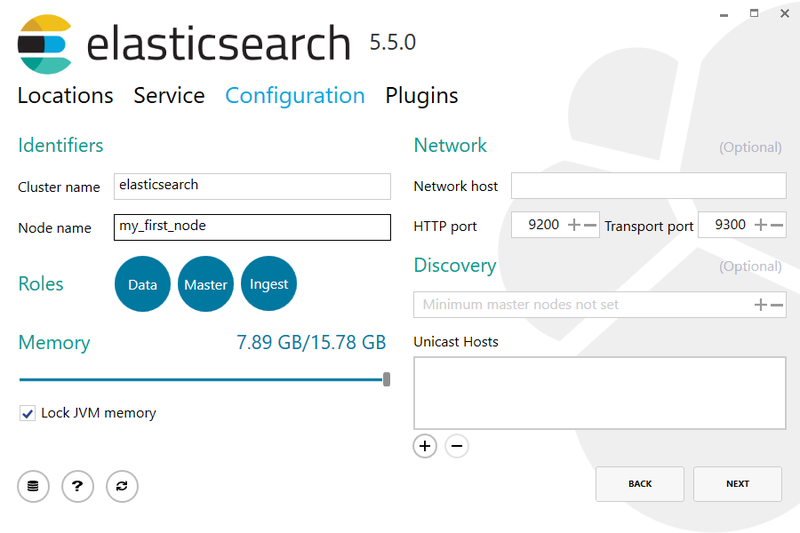 A comma separated list of hosts in the form host:port or host to be used for unicast discovery. Defaults to ""
The minimum number of master-eligible nodes that must be visible in order to form a cluster. Defaults to ""
The hostname or IP address to bind the node to and publish (advertise) this host to other nodes in the cluster. Defaults to ""
A comma separated list of the plugins to download and install as part of the installation. 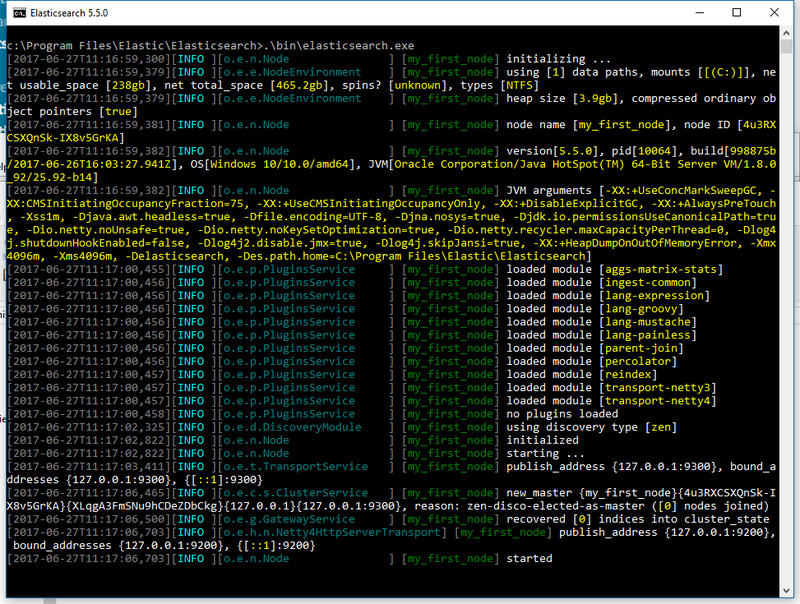 Defaults ""
start /wait msiexec.exe /i elasticsearch-5.5.3.msi /qn INSTALLDIR="C:\Custom Install Directory" PLUGINS="x-pack"
Consult the Windows Installer SDK Command-Line Options for additional rules related to values containing quotation marks. Values that contain spaces must be surrounded with quotes. For instance -E path.logs="C:\My Logs\logs". 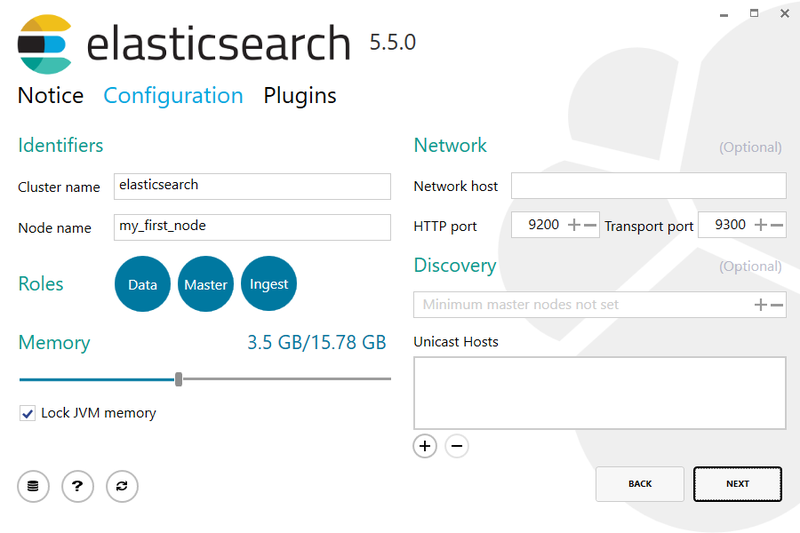 Changes can be made to jvm.options and elasticsearch.yml configuration files to configure the service after installation. Most changes (like JVM settings) will require a restart of the service in order to take affect. 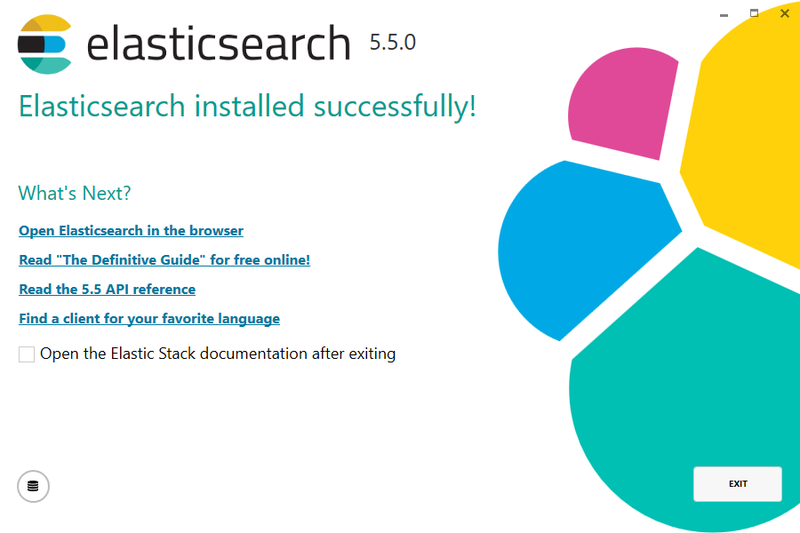 The .msi package supports upgrading an installed version of Elasticsearch to a newer version of Elasticsearch. The upgrade process through the GUI handles upgrading all installed plugins as well as retaining both your data and configuration. 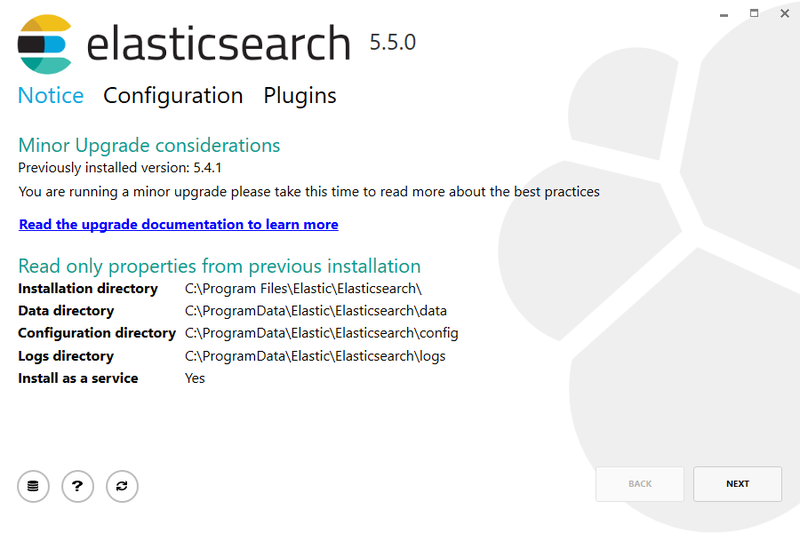 The .msi can also upgrade Elasticsearch using the command line. A command line upgrade requires passing the same command line properties as used at first install time; the Windows Installer does not remember these properties. For example, if you originally installed with the command line options PLUGINS="x-pack" and LOCKMEMORY="true", then you must pass these same values when performing an upgrade from the command line. The .msi package handles uninstallation of all directories and files added as part of installation. Uninstallation will remove all directories and their contents created as part of installation, including data within the data directory. If you wish to retain your data upon uninstallation, it is recommended that you make a copy of the data directory before uninstallation. MSI installer packages do not provide a GUI for uninstallation. An installed program can be uninstalled by pressing the Windows key and typing add or remove programs to open the system settings. This will launch the uninstallation process.